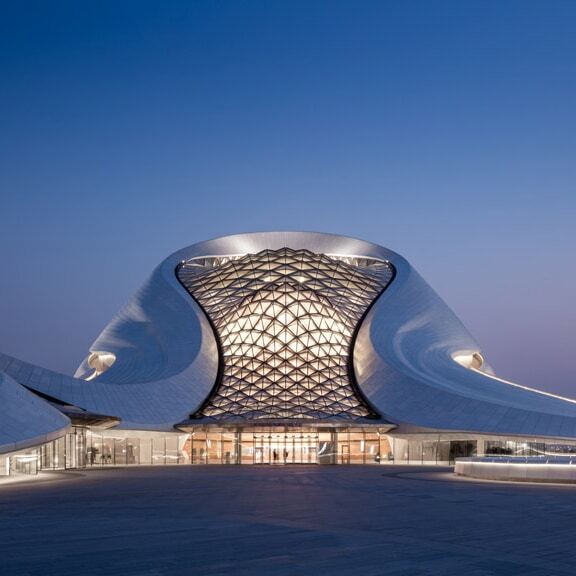 MAD Architects studio designed the “Opera House” in the Chinese city of Harbin. 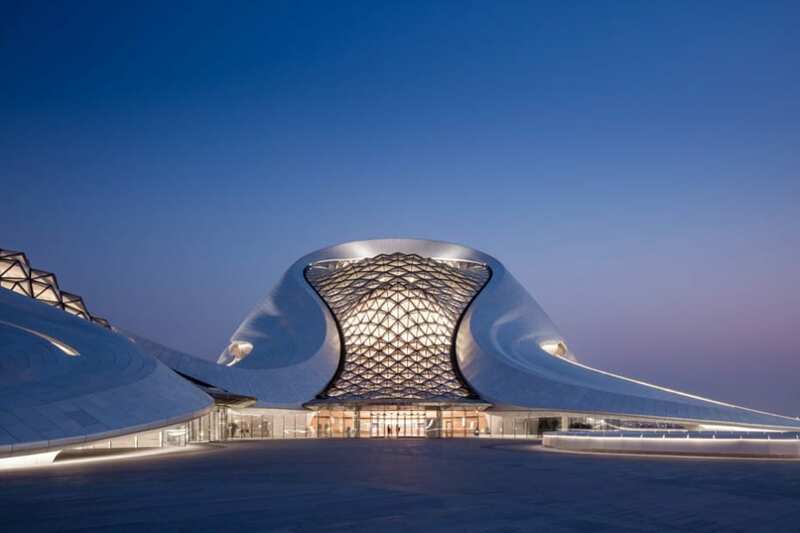 The sinuous building, overlooking the Songhua River, is located on a major new arts complex, called “Cultural Island”. The building is designed to mirror the sinuous curves of the marsh landscape, with an exterior of smooth white aluminium panels and glass pyramids that diffuse natural sunlight int the lobbies. Tagged Harbin, MAD Architects, Opera House.